Daniëlle shows us around Utrecht, a city in the Netherlands. Thanks so much for helping us learn more about Utrecht. Dank je wel. / Thank you. Graag gedaan. / You are welcome. what do I know about Utrecht. It’s a fourth largest city in the Netherlands. Founded more than 2,000 years ago by Romans. As a fortress, next to the river crossing. Now a University town… many students live there. I also heard that it’s a multicultural city. from other cities in the country? I used to live in Utrecht for a while. The tourist season seems to be on all year round now. 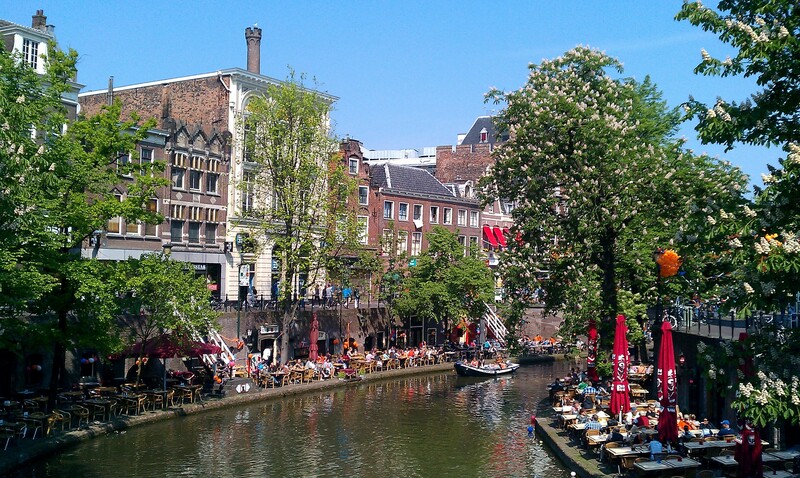 So, does it feel different in Utrecht? although students are more easily spotted over here. Another difference is the way strangers are treated. don’t expect employees to greet you. these things are way more common in Utrecht. I see… How far is Utrecht from Amsterdam? 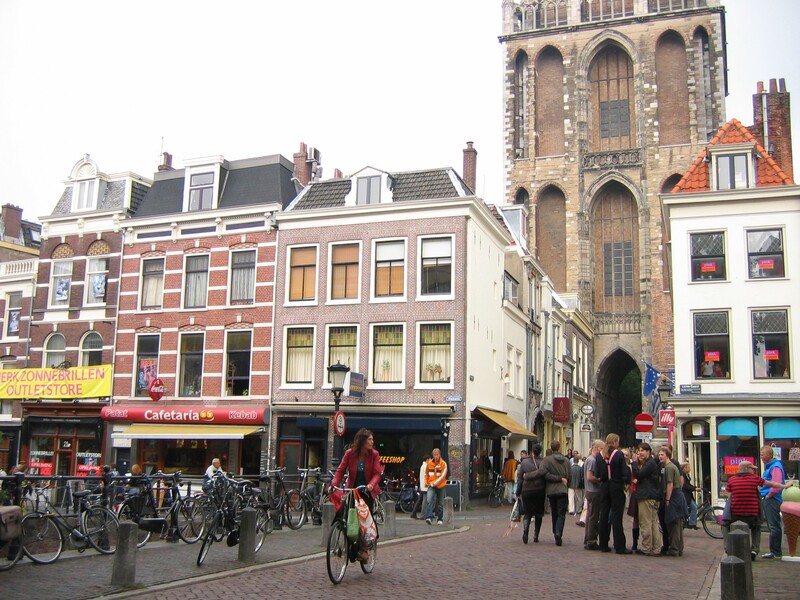 does Utrecht feel like a big city or a small town? To me, it feels like a small town. I think it’s because the city center isn’t very big. I can see so many canals in Utrecht. Does the canal side feel noisy or quiet during the day? If it rains, it’s rather quiet. or sitting in a boat. Oh… I have another question. 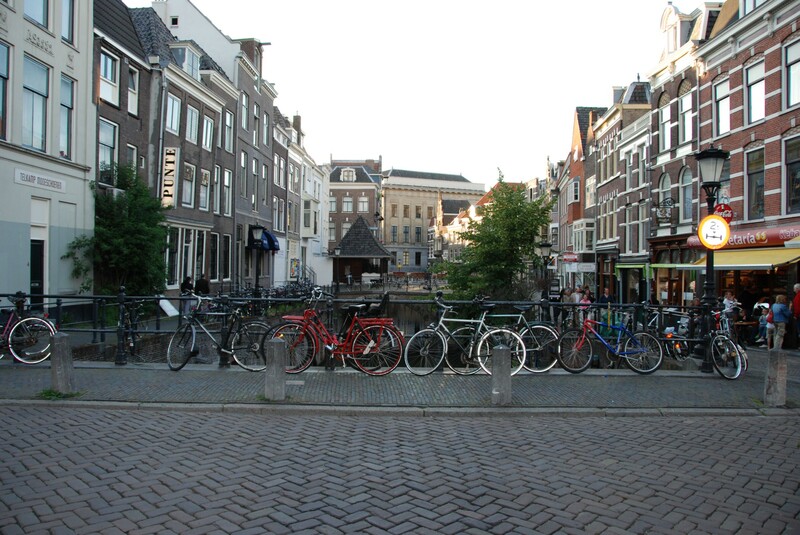 in Amsterdam and Utrecht feel different? and they are a lot longer than those in Utrecht. but not so much in Utrecht. Can you walk around the city centre in less than an hour? OK… The street markets in Utrecht. Do they work every day? No. A street market is only open one specific day a week. 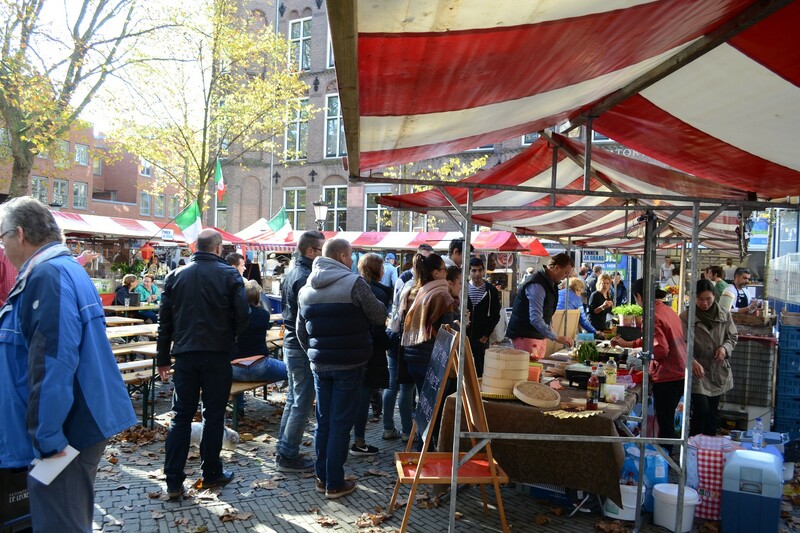 I’ll mention the most well-known street markets in Utrecht. at the Oudegracht and the Janskerkhof. Got it. What are the best items to buy there? fruits and vegetables, clothes, fresh fish, Dutch cheese. Oh… and something I’d especially recommend — stroopwafels! Another street market is the ‘Lapjesmarkt’. It does feel quite special. to make your own clothes. This type of street market can be found in other cities as well. For example in Alkmaar… but only one day a year. But do you wanna know what’s so special about it? It’s been there every Saturday morning since 1597! but foreigners don’t know about? If you dig ice cream, visit ‘IJssalon Luciano’ . They have the best… and in all kinds of flavors! The rent in Amsterdam is sky high. In Utrecht, it’s only really high. let the Huurcommissie check the price! 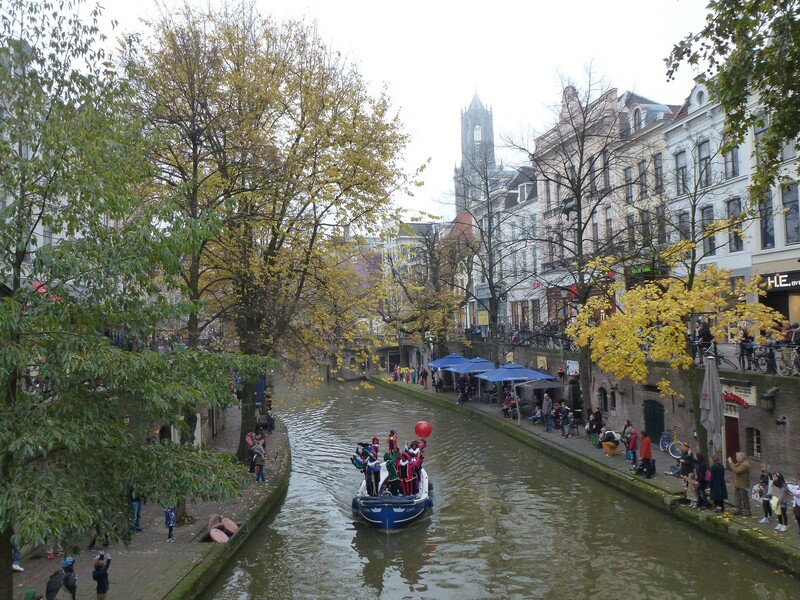 OK… So, Utrecht has a large student population. What do young people usually do after a day of studies? Except UVSV (sorority) and USC (fraternity). and some hit the gym. not easy to point out any specific ones. So don’t forget your university card when you’re shopping! 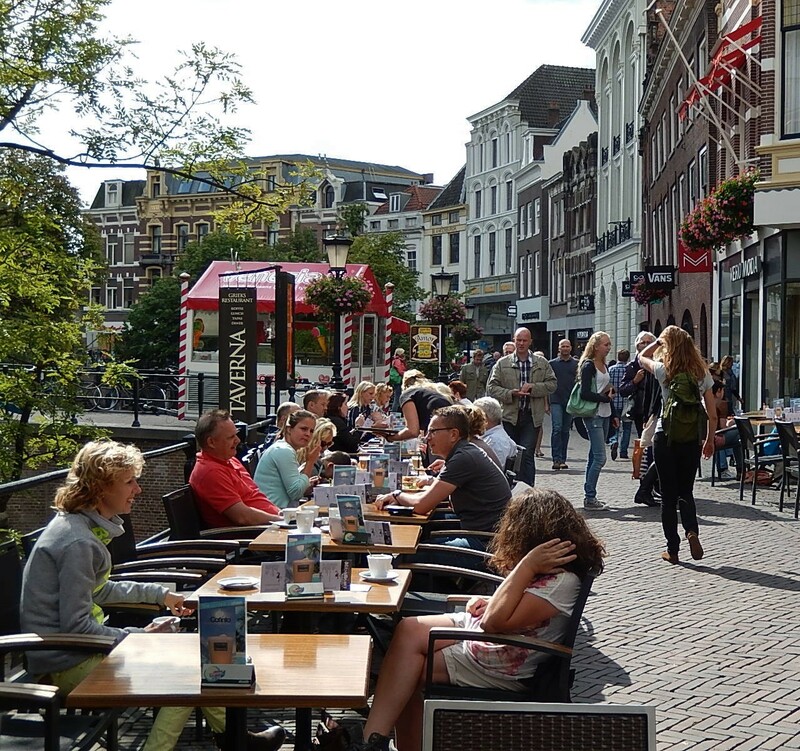 Are open-air cafes common in Utrecht? You should take a look at the Oudegracht. or if you don’t have strong sea legs, 2 meters higher. Yes, the city does look fantastic.